Since Aquaman briefly graced the big screen in 2016’s Batman v. Superman, we’ve been waiting for his standalone movie to arrive in theaters. The wait will come to an end on December 21, but in case you are impatient and happen to be an Amazon Prime member, you can catch the newest DC movie a week early. 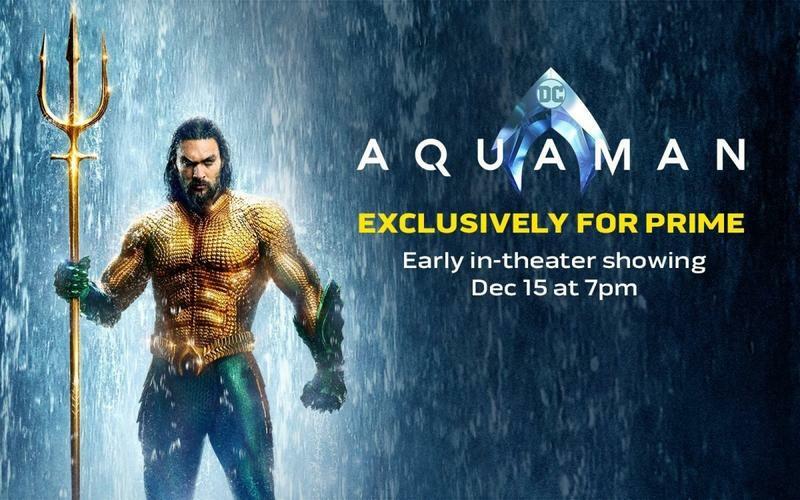 Amazon announced a partnership with Warner Bros. that will allow Prime members to watch Aquaman in theaters on December 15, a week before its official release day on December 21. The special screenings will happen at 1,000 theaters across the country at special 7 p.m. showings. The list of theaters participating in the event include AMC, Regal, National Amusement Theaters and ArcLight Cinemas. The special event for Aquaman is similar to what Amazon offered for Jumanji: Welcome to the Jungle where Prime members were able to see the movie 12 days before its wider release. The announcement of the early screenings coincide with the release of a spectacular final trailer.